FAA has just updated the FAA-CT-8080-3E Testing Supplement to FAA-CT-8080-3F. This is a huge update – new Figures, Legends and Test Questions. Aviation Seminars has revised our program to match – we’re 100% ready to get you through the new FAA Instrument Exam! 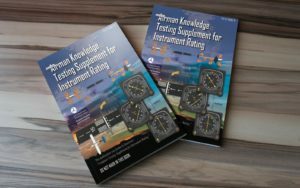 The Instrument Pilot exam contains 60 questions on a variety of essential subjects. These questions are chosen from over 900 questions in the exam database. You are allowed 2 1/2 hours to complete the exam. Remember the formula: MH+RB=Mbto. So, 330 + 270 = 600. Well, there is no 600 degrees, so we subtract 360 from it and get 240 degrees, which is the magnetic bearing to the station!